Initially, Mario Kart 8 DLC looked like it was going to be yucky. But now it seems like it could be quite good, with Link, Tanooki Mario and Cat Peach. 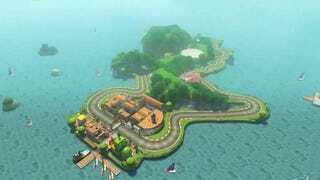 But there's more, including Yoshi Circuit from Mario Kart: Double Dash!! In this trailer, you can see how the course looks for Mario Kart 8. Not bad at all, if I must say. Priced at US$8 and launching in November, the DLC comes with the three aforementioned characters (Link, Tanooki Mario, and Cat Peach), four vehicles (which you can see in the above clip), and eight tracks (including Yoshi Circuit). The next bundle will feature Animal Crossing characters and is slated for May 2015. Until then!